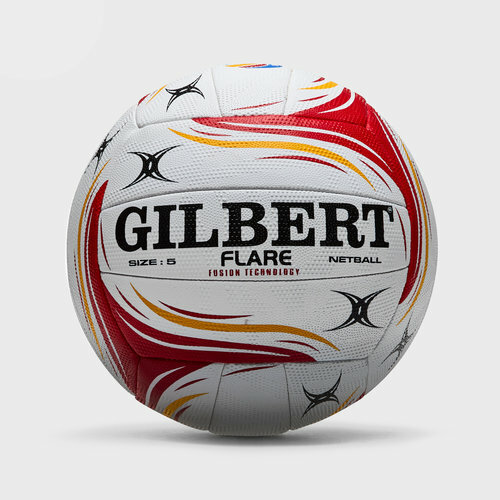 Play with real quality for the matches that really matter, choose this Gilbert Flare Match Netball in a White, Red and Orange colourway. This match quality ball from Gilbert features a hugely popular and widely imitated hand stitched design. This is a striking and bold design which will easily stand out on court. The top grade natural rubber surface provides excellent grip in all conditions, helping to improve skills all year round. The ball has been designed for all surface types whether indoors or outdoors whilst being available for professional use.